The hosts have a 2-2 record in the Top 16 and they have a 7-7 record in the Euroleague overall. The away team have been in better form, holding a 3-1 record in the Top 16 and an 11-3 record in the Euroleague overall, but this is likely to be a game that both teams will be confident of winning. Crvena Zvezda have won their last two games in a row and this means that the home crowd will have high expectations of clinching another win that will push them further forward in the Group E standings. There have been a few players who have performed strongly for the hosts this campaign with Stefan Jovic and Maik Zirbes grabbing headlines and plenty of points. If these two players hit good form on Friday night, you can expect the home fans to be cheering loudly once again. Then again, it could be that Quincy Miller is the player that makes the difference on Friday evening. Lokomotiv hold a 5-2 record away from home this season but they know that an away day in Belgrade is rarely an easy task in Europe. Malcolm Delaney has been an integral player for the team this season and his Top 16 ranking, 25.8 per game, sees him standing at the top of the listings for this stage of the campaign. 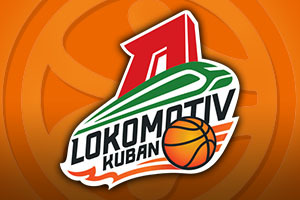 Delaney has been in fine form but with Dontaye Draper and Chris Singleton backing him up, there are plenty of good reasons why Lokomotiv have been a big player in the Euroleague so far this season. The away team also knows that with players like Ryan Broekhoff on the court, there is a chance for another away win. It is likely that this is going to be a very close affair in Belgrade, with the bookmakers just making the away team favourites. 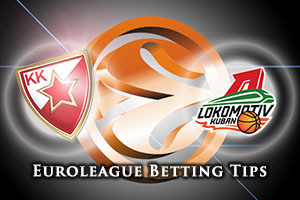 You should be looking to take Lokomotiv Kuban Krasnodar at -1, with odds of 1.90. For the Over/Under market, it makes sense to look at going OVER 151.0, which you can find at odds of 1.90. Bet Now!